The retail sector has taken a hammering lately. Tesco recently recorded the largest company loss in UK history. The rest of traditional supermarkets have also been hit hard by the discounters like Aldi and Lidl. But it’s not just supermarkets that are suffering in retail sector. Over the last few years a number of big retail players like Comet, Woolworths and Blockbuster have closed their doors due to increasingly competitive markets. The launch of the Apple Watch; wearable tech has come of age. This could have a significant effect on the retail sector. Since the launch of Apple Pay late last year the number of retailers using this technology has more than tripled. The speed and convenience of this payment method, added with the undoubted success of the Apple Watch means that this fast growth of retailer take up will continue. Barclaycard are also looking to take advantage of this demand and will soon launch a new wearable payment wristband called bPay. It is also worth noting that it won’t be just retail customers who’ll be using wearables to enhance the retail experience. It won’t be long before we see shop assistants using smart watches and smart glasses to help them work smarter and faster. Virtual reality has the ability to transform marketing methods, and has the power to bring a product to life. Converse have taken advantage of this new innovative thinking. 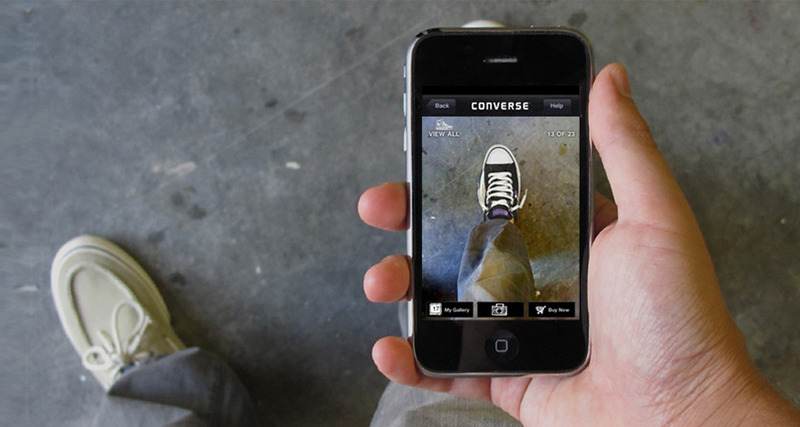 The ‘Converse sampler’ iPhone app uses Augmented Reality to let customers virtually try and view trainers, merely through positioning their smartphone to face their leg. Not only does this save the consumer time, it also allows them to view and try on different ranges of products that may not be on their local the shop floor. Customers can even buy the product via the app and avoid any queues when purchasing! A South African tourism agency invited guests to experience a ‘five-minute holiday’ from the comfort of selected bars in London and Manchester. The objective of the campaign was to highlight the culture and beauty of the country to consumers who may not have travelled to South Africa previously. The virtual reality experience, which consisted of abseiling down Table Mountain and feeding an elephant alongside other more iconic South African landmarks, allowed users to experience the thrills of travel from their hometown. By placing an emphasis on virtual reality, they were able to successfully target the young tech savvy market. They appealed in a playful yet educational way. Many stores are using video in-store or as window displays these days, but soon this will be taken to a much more impressive level. At Digital Annexe, innovation is a massive part of who we are and we like to walk the talk. So we created our interactive retail unit. The table unit interacts with the products selected and delivers a different “digital experience” in terms of on-screen, content, lighting and sound. The idea of the unit is to enhance the buying experience and to put the consumer in control of what they experience. Another area that is of big interest to retailers is iBeacons. A good example of this would be Waitrose’s launch of in-store iBeacons and their related smartphone app at its newly opened Swindon store. 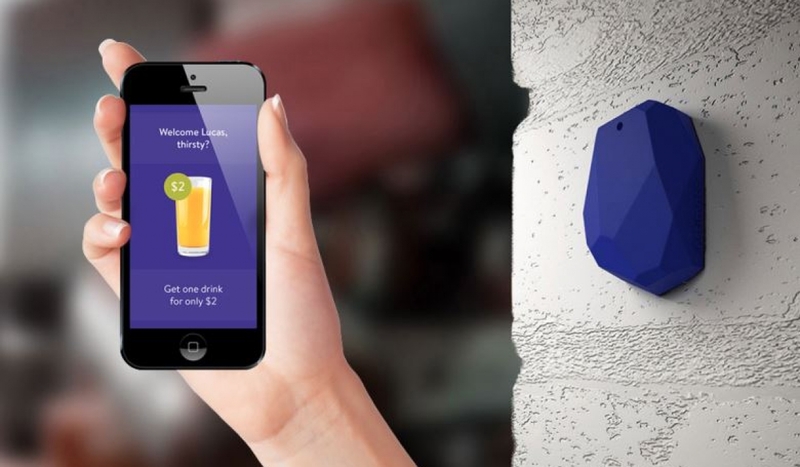 The iBeacon alerts shoppers to price promotions in specific areas of the store. It also allows customers to scan barcodes and read customer reviews. Once they had chosen their products, customers could add them to a virtual shopping basket and eventually pay for their items via their smartphone. From the businesses’ point of view, retailers were able to track where customers were requesting the most information on products, meaning they could adapt their stores and information to best suit users’ needs. Developing on in-store innovations, the dialogue between online and offline has been an important aspect of retail innovation. Last month the Amazon Dash button was launched; a small button that can be placed in different areas of the customers home, each representing a different brand identified via their logo. Amazon prime customers were asked to identify which set of brand buttons they would most likely require and then place them in areas of the home where these products are most needed. The dash button functions by allowing customers to request new items by simply clicking the button, which in turn adds the new item to their amazon shopping basket. There are obviously disadvantages to this service, one being the bombardment of sticky buttons in the home and the other being naughty children deciding that you need 11 boxes of ‘Tide’. However, the long-term goal would be to remove the need for customers to press the button altogether, finding a way of linking customer’s homes to online shopping. Which, is nevertheless fertile ground for improvements in retail innovation. To summarise, it would appear that retails incorporation of digital in both their online and offline platforms are developing swiftly. Whilst a large proportion of consumers purchase and browse retail items online, the above examples show that there is a clear investment of digital in the in store environment. Some of which are already being used and some which are yet to be implemented fully. Keep an eye out for these innovations in stores near you! Sean is managing director at Digital Annexe www.digitalannexe.com. Read more from him in our Clubhouse.